On Friday 7th September 2018 Lieutenant General Nick Pope CBE, Deputy Chief of the General Staff and Colonel Commandant Brigade of Gurkhas visited Caerwent Training Area in Wales to see 1 Royal Gurkha Rifles (1 RGR) conducting pre deployment training for Afghanistan. He was accompanied by Colonel James Robinson, Colonel Brigade of Gurkhas. 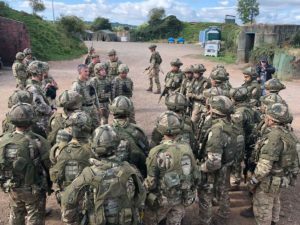 The battalion will deploy in late October to Kabul to provide Force Protection for six months accompanied by a company from the Royal Anglians (Vikings) and one from 3 Parachute Regiment. On arrival the party were briefed by the Commanding Officer 1 RGR, Lieutenant Colonel Chris Conroy, on the preparations for the operational deployment and he also provided an update on the battalion. Following this, the visitors moved to the Operations Cell and heard how tasking and coordination will be conducted. Lieutenant General Pope had an opportunity to visit the companies around the training area and talk to the soldiers, many of whom have been to Afghanistan before but not to Kabul. 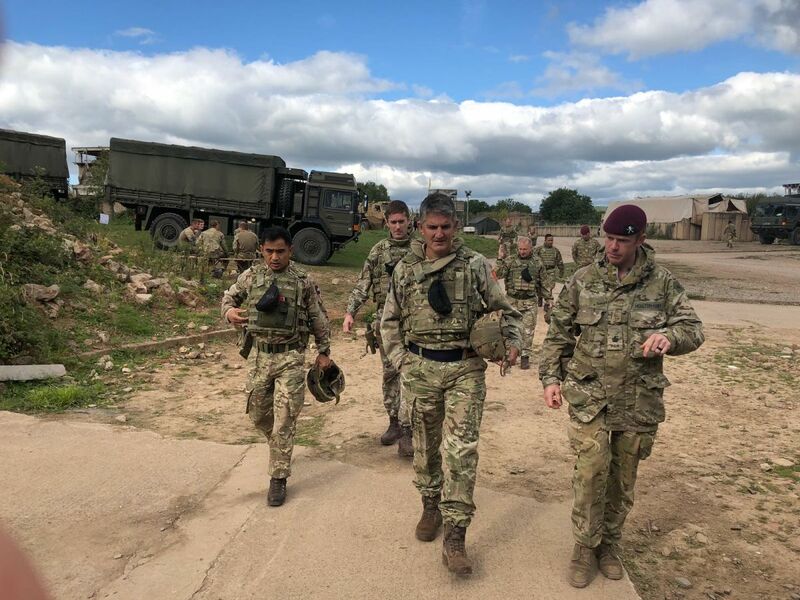 1 RGR has the highest deployability of any unit in the British Army and will leave A Company in the United Kingdom to support the Air Manoeuvre Battle Group. As he finished his brief visit, Lieutenant General Pope stated how impressed he was with the training and, after a curry, returned to Army HQ in Andover.